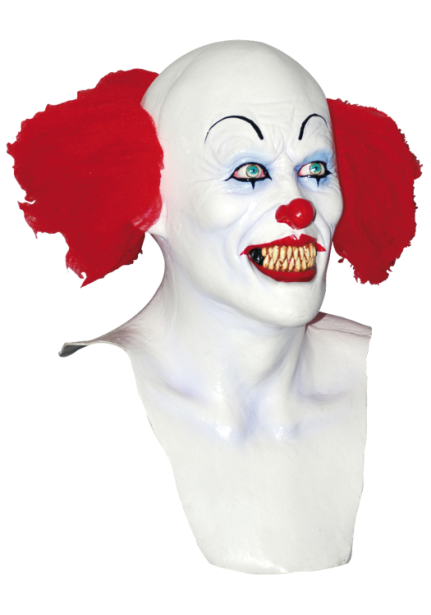 Pennywise the IT clown mask is a full over the head mask. One of the most frightening characters to come from our TV screens. The mask is a large full head and neck mask that you simply pull over your head and look out the eyes.